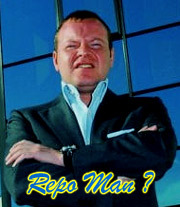 Home » Formula One » Alex Shnaider – Repo Man ? Alex Shnaider – Repo Man ? Alex Shnaider sold the Midland Formula One Team to Spyker a year ago, but rumor is that he may play the part of the Repo Man and take it back, but only if he has to. He has said he is prepared to buy the team back to solve it’s financial problems, and as a secured creditor who is owed money it could be his best way of securing his debt. Shnaider feel that the team should bring in a financial partner to help secure the team’s financial situation in the short term, claiming that he might even be prepared to take on that responsibility himself. It seems that life at the back of the Formula One grid is tough, no matter who you are. Without results it is difficult to raise the money needed to secure any teams future, and without the money it’s difficult to secure the results. It really does seem that if the costs of Formula One are not cut back the back few spots on the already reduced grid will get harder and harder to fill.